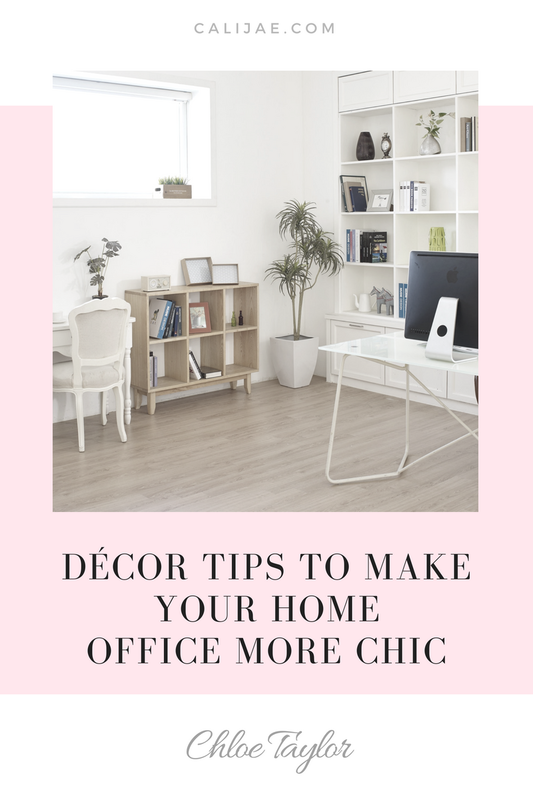 Your home office should be your hub of productivity and creativity, so it’s important that you implement the right design elements that will motivate you to work. While a minimalist design will keep clutter and distractions at bay, the right colour scheme will enhance your focus and work efficiency. Of course, there are plenty of design considerations that you can implement to boost your productivity, but you can also introduce certain ideas just for style. After all, working in a chic home office that reflects your personality and taste will definitely help you to achieve all your goals. Wallpaper is a great way to elevate your office décor. The year 2018 has brought numerous stylish wallpaper trends that you can try. From botanical and floral motifs to modern geometric patterns and textured designs, you can use wallpaper to create a specific look in your home office. However, if you want to go with something unusual and different, you should apply wallpaper onto your ceiling. This chic trend will definitely give your office a unique flair. Yes, you can go with an elegant colour scheme that will give your home office a classic look. However, you can also experiment with your wall design to create a wow effect in your office. If you want to create a chic, yet rugged look, you can leave your walls unpainted. Exposed brick or concrete walls will truly create authentic appeal. You can always go with a single accent wall while painting the rest of your office. Chalkboard walls are also a popular and trendy design idea for offices. You can use them to write down your ideas or motivational quotes. 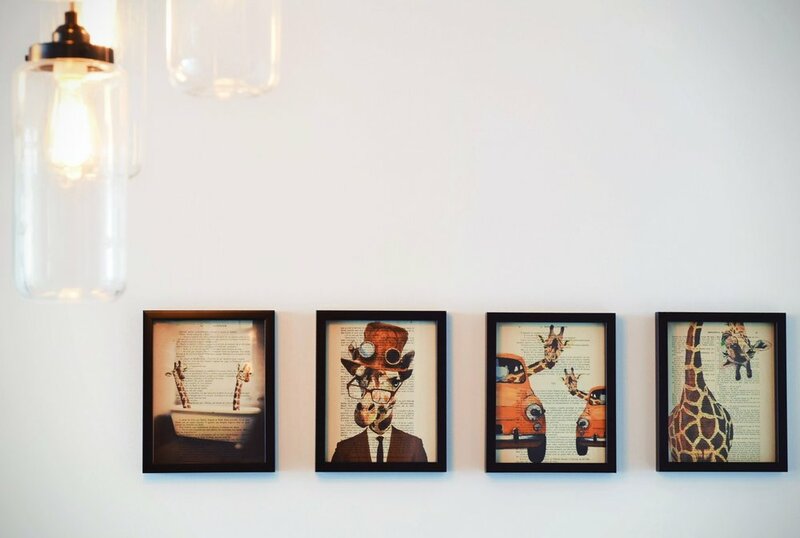 If you’re an art enthusiast, you can create a chic gallery wall and surround yourself with inspiring masterpieces. Aside from your desk and a comfy chair, you should also add one or two additional pieces of furniture. You can place them in an empty corner and create a nook where you can take a break, relax and relieve stress. For instance, you can go with a chic Barcelona daybed that will stand out as a stunning focal point in your home office. The simple, yet enticing and elegant design of this piece will work perfectly with a chic office look, bringing a touch of sophistication. Patterns are always a great way to style up a space, bringing a touch of playfulness and elegance. You can mix and match patterns for a chic look, but make sure to link them with the same feature, such as a colour or a theme. You can use a patterned design for throw pillows, curtains and area rugs, or design a completely patterned accent wall. 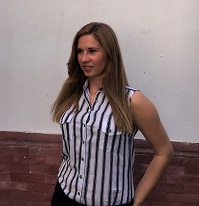 For a chic and timeless look, the black-and-white combo is always a great choice. Although monochromatic, this look is infinitely elegant and glamorous, especially when combined with luxurious details and occasional pops of colour. For instance, just a few passionately red details can break the monotony and spark your creativity. If you don’t want to go with a completely black-and-white design, you can use this colour scheme for accent details, or paint your home office white and then add just a few black pieces. Accessories will help you tie the look together in your home office, so make sure to pick them carefully. It’s always better to go with just a few impactful details instead of creating clutter. You can use lighting fixtures to give your office a chic flair while lush plants will fill it with a fresh, open and positive atmosphere. Hardware featuring an elegant finish can help you add a touch of luxury to your home office. As one of the most prominent items in your home office, your desk should truly stand out. 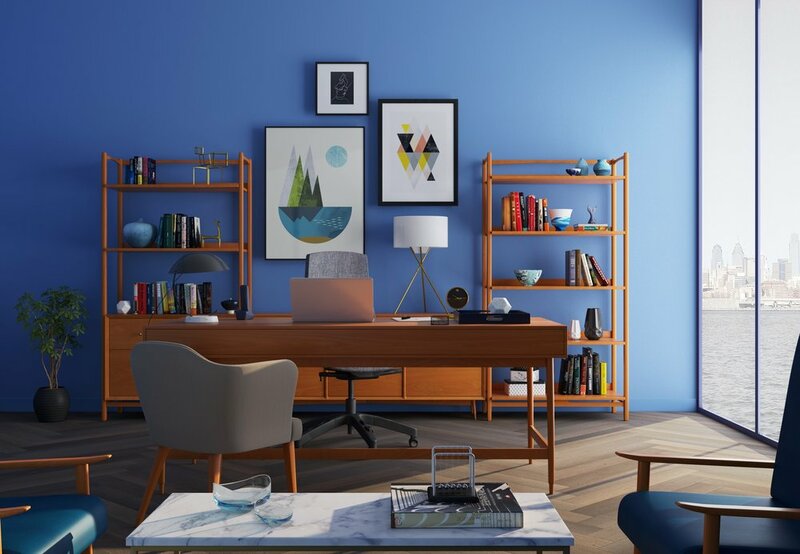 Although you can simply accentuate it by setting it against a simple, understated backdrop, you can create chic, bold appeal in your home office by painting it. For instance, a mint green or bright orange desk will truly stand out, working as a true décor statement in your home office. Designing a chic, beautiful home office will provide you with a truly inspiring area to work in, enhancing your productivity and mood.